Edge container development started back in 2005 as a basic model for Fire skydiving container. Several non-serial samples were manufactured to test the production technologies, calculations, strength and operational testing. After receiving the results of the operational testing the first version of Edge container was allowed for serial production on February 4, 2007. Multiple mountain trips with this container, wingsuit flights, consultations with experienced jumpers determined the constant upgrades for the container – it was becoming thinner, more streamlined, the structure of pincover flap was modified to provide the bridle strong protection at high speed flights. As a result, already in 2008 the intermediate model with the new pincover flap was released to be manufactured up to 2010. 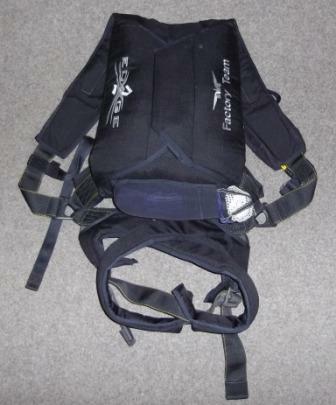 At the same time the structure was obtaining various options requested by BASE-jumpers to meet these requirements; load pockets for the leg straps, pockets for keys and portable transmitter at the Three rings, magnet shoulder straps, joints for the Reserve installations, etc. In 2010 another large-scale modification took place. The container was even more elongated and flattened to reduce resistance. 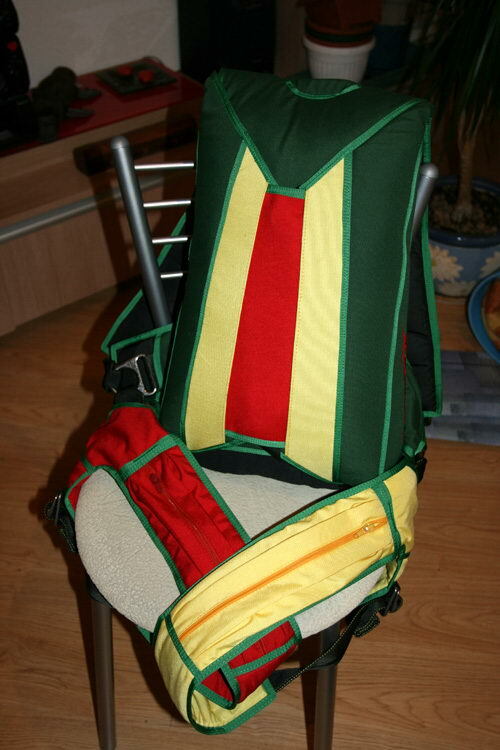 The structure of the pincover flap and shoulder straps was modified too. Edge 2 container has been manufactured since 2010.